It’s HERE- Loving Lessons Sleep Classes and Workshops are rolling out this FALL! You’ve had your baby and now you are doing life with a child! 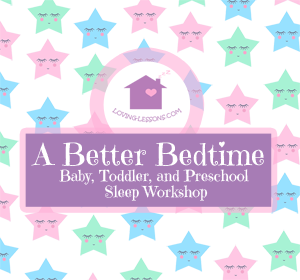 Whether its’ one, two, or many children, your baby, toddler, or preschooler needs your time and attention and you need sleep to make it through the days! Getting sleep is not a luxury, but a need to help you parent from a place of love and respect, and to truly be the parent you desire to be! Because I know you might be tired, you might want to learn how to get those sleep-filled nights again, with children. 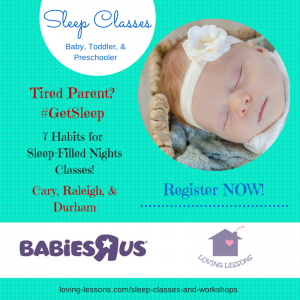 Join me at Babies R Us in Raleigh, Durham, or Cary for the 7 Habits for Sleep- Filled Nights! 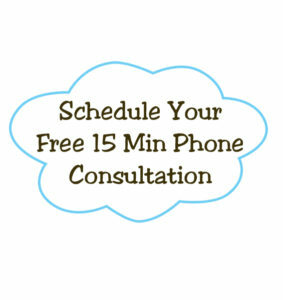 Be sure to call the store and register to save your seat for your class! Check out some of the other classes that are now available in your area to help you navigate these first years with your child! You are not alone in this journey! Can’t wait to meet you soon at a sleep class or workshop ~ Sweet Dreams! Photo courtesy of BrittanyB Photography. This entry was posted in #MomsMatter, Baby, Gentle Parent Solutions, Postpartum Depression, Preschool, Toddler. Bookmark the permalink.